"All 208 pages of this book are filled with research-based information about the best practices schools should adhere to when assessing and intervening with children in schools. The author does a wonderful job presenting all of the data, facts, figures and statistics in a very structured layout that is straightforward, practical and convenient to access. With the rising incidence of children being diagnosed on the Autism spectrum, this guide should be required reading for all direct service providers who work with children in the school setting. 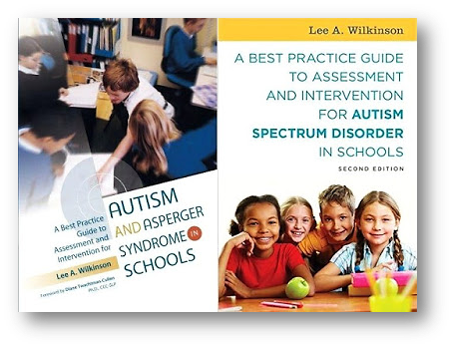 On behalf of the Autism community I extend a sincere thank you to Lee Wilkinson for this impressive and most valuable resource!" 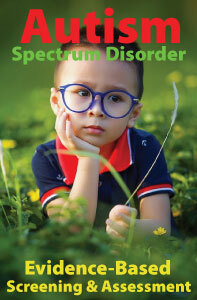 "This impressive contribution to the literature on autism and Asperger syndrome is really several reference books in one, providing detailed and expert discussion of key aspects of best practice on screening, assessment and intervention. Combining a good eye for best practice and the need to link this to research, the author has produced a seamless work which is up to date and refreshing. The book actually goes much further than its modest claims. The expert and thorough organisation of the various chapters includes a wealth of practical information and sources of references. This combined with an accessible writing style results in a work that is certain to appeal to a wide readership." A Best Practice Guide to Assessment and Intervention for Autism and Asperger Syndrome in Schools (1st Edition) is available from all major online booksellers, including Amazon, Barnes & Noble, Book Depository, and Books-A-Million. 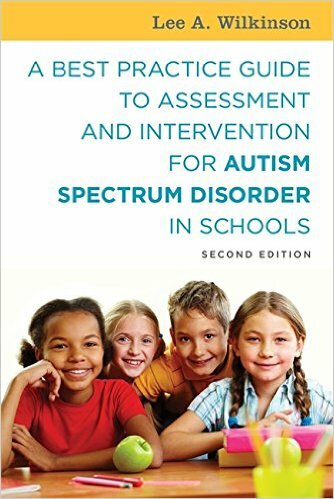 The second edition of this award-winning text, A Best practice Guide to Assessment and Intervention for Autism Spectrum Disorder in Schools (2nd Edition), is also available from Jessica Kingsley Publishers, Amazon.com, Barnes & Noble, Target.com, Walmart.com, Books-A-Million, Book Depository, and other booksellers. Both editions are available in print and e-Book formats. Lee A. Wilkinson, PhD, NCSP is a licensed and nationally certified school psychologist, registered psychologist, and certified cognitive-behavioral therapist. He provides consultation services and best practice guidance to school systems, agencies, advocacy groups, and professionals on a wide variety of topics related to children and youth with autism spectrum disorder. He is also a university educator and school psychology trainer. His research and professional writing has focused primarily on behavioral consultation and therapy, and evidence-based practice in assessment and intervention for autism spectrum disorder. He has published numerous journal articles on these subjects both in the US and internationally. Dr. Wilkinson is editor of a best-selling text in the APA School Psychology Book Series, Autism Spectrum Disorder in Children and Adolescents: Evidence-Based Assessment and Intervention in Schools, and author of the award-winning book, Overcoming Anxiety and Depression on the Autism Spectrum: A Self-Help Guide Using CBT.